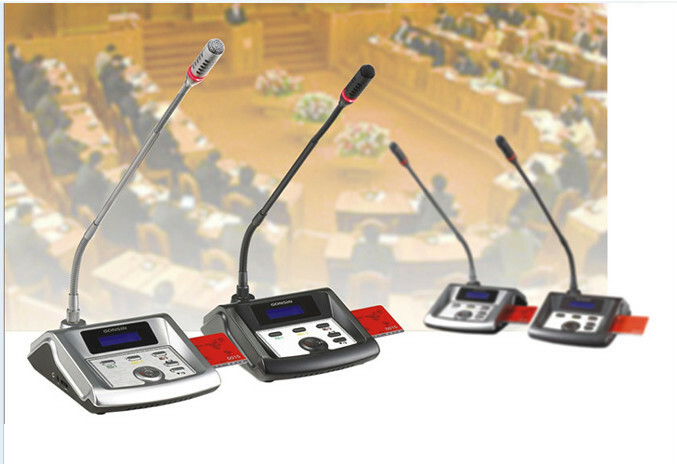 offers a multi-functional integrated conferencing solution. 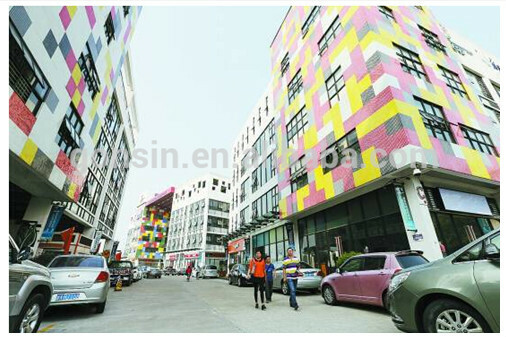 It's very hot model. 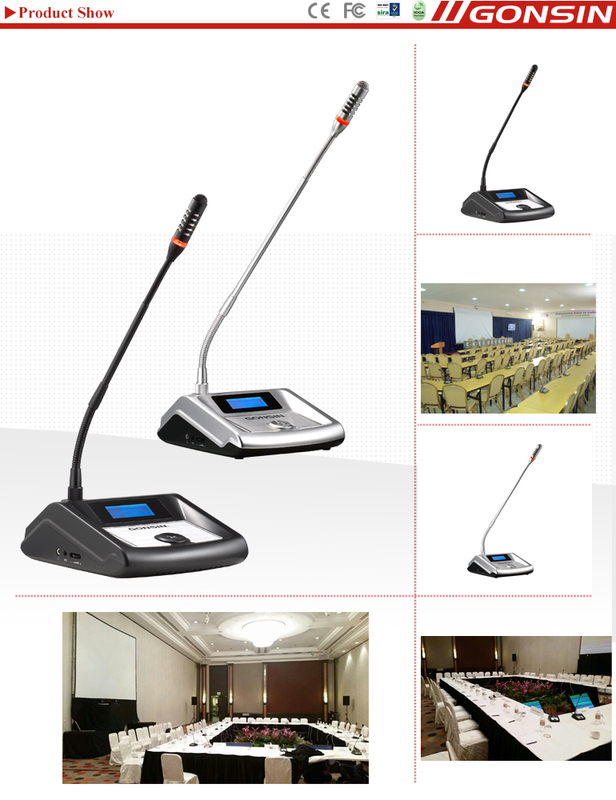 Portable or fixed tabletop mounting. 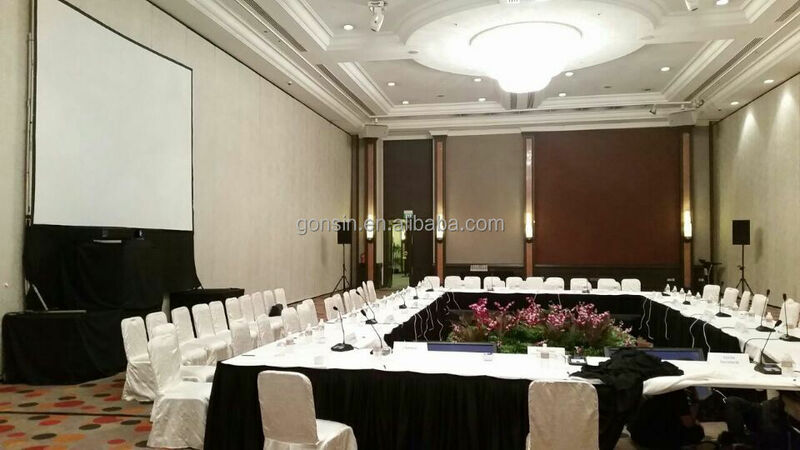 give comfortable & convenient conference experience. 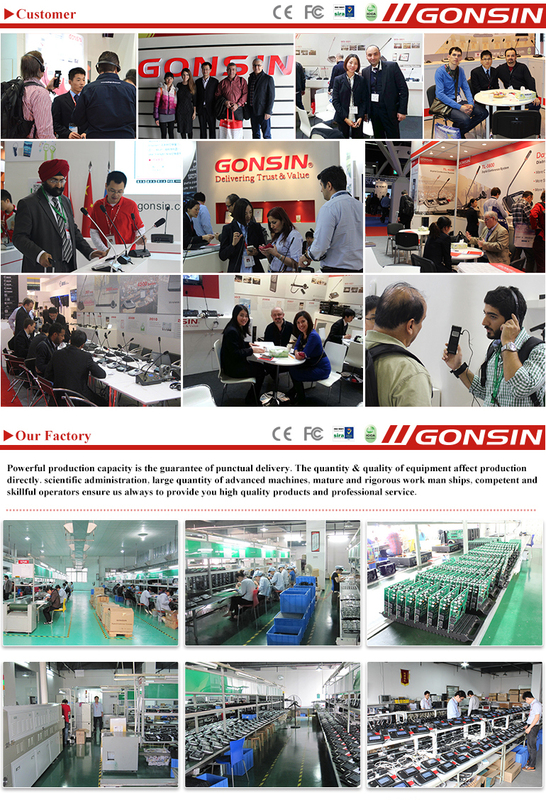 Q1: How can Gonsin ensure product quality? 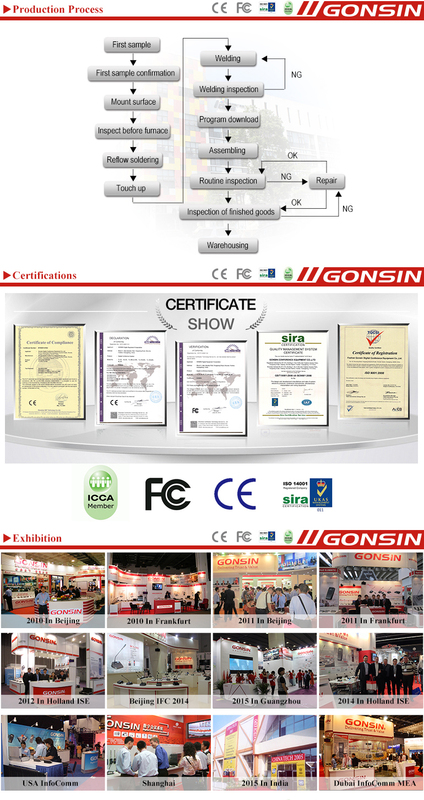 A1: Gonsin has strong R&D for product design & improve; Gonsin manufacturer department works strictly according to the technological process standards; Gonsin QC department perform strict quality test for the producing products; and before shipment, 2nd quality check will be made before delivery. 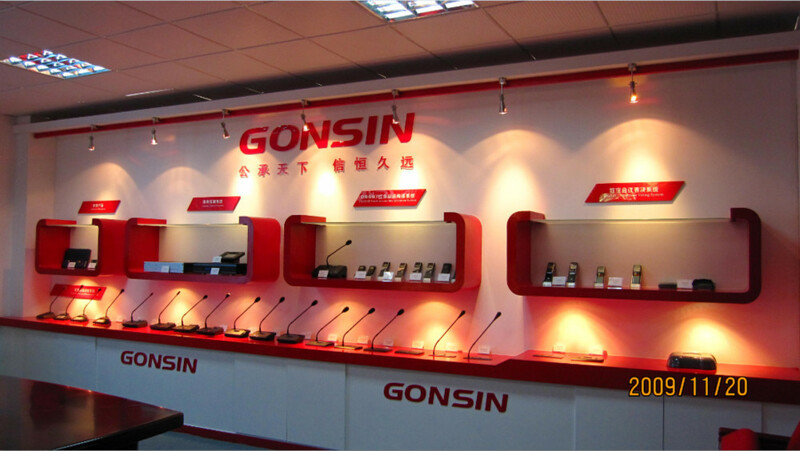 Q2: What's Gonsin products strength? 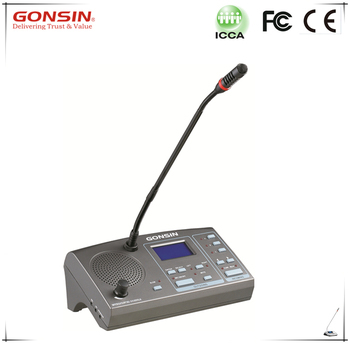 A2: Cost-effective, stable performace, excellent sound quality, easy setup, operate and maintain. 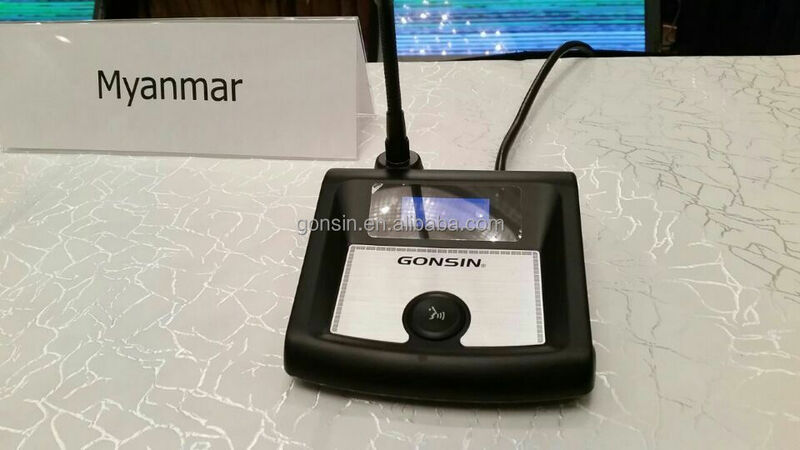 Q3: Which place will use Gonsin equipment? 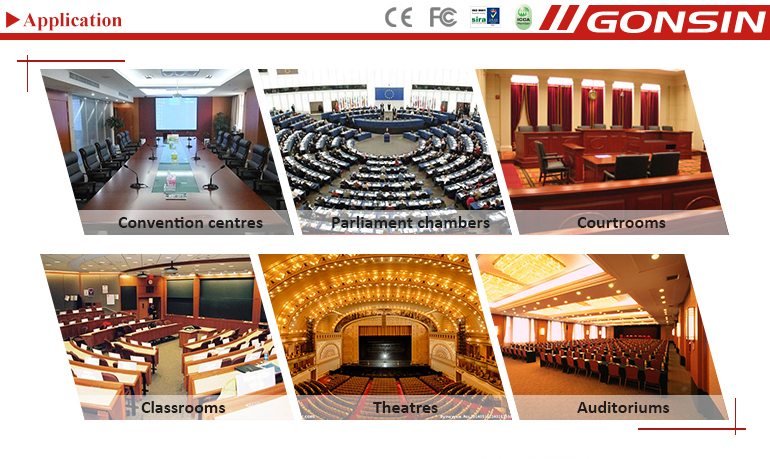 A3: Gonsin models are widely equipped in international conferences, governments, parliaments, churches, education institutes, private corporate conference hall, in 130 countries. 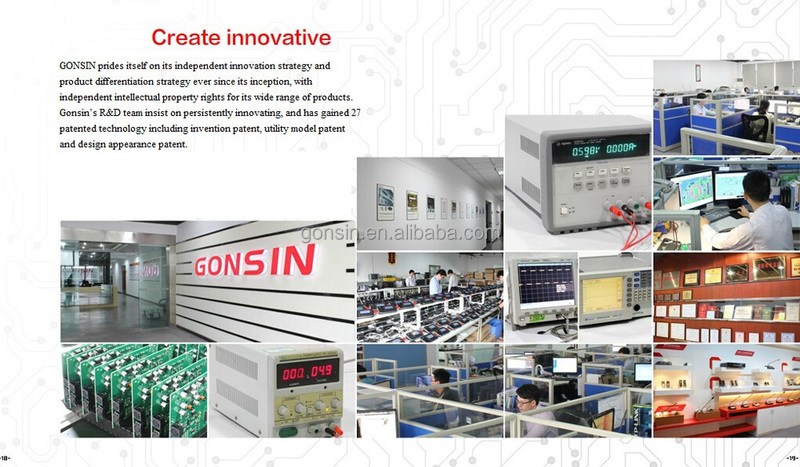 track the model performance at customer site, provide necessary guidance if any. ect. 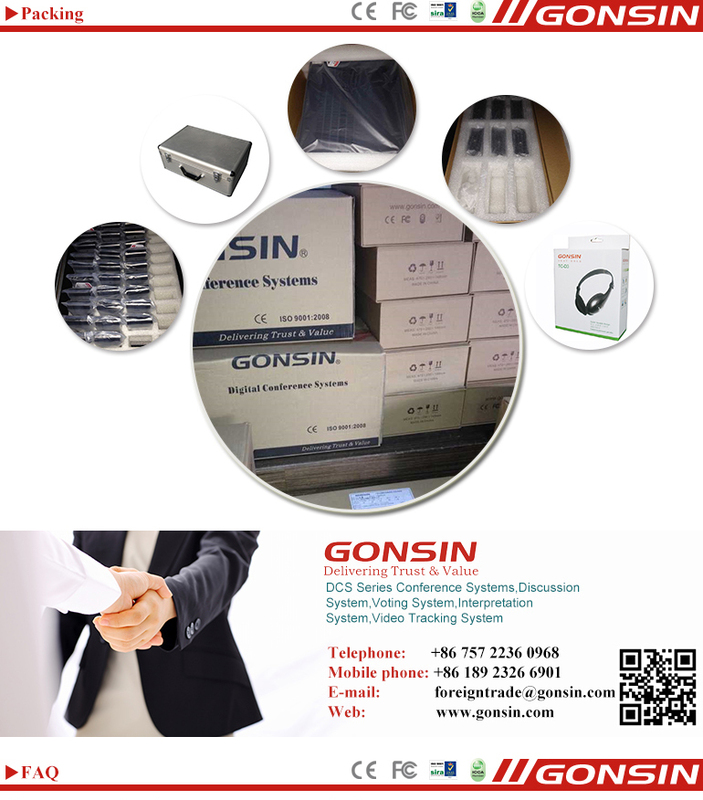 The supplier is ranked number 10 by delivery data in Office Equipment.